“A nation's culture resides in the hearts and in the soul of its people.” – Mahatma Gandhi. I totally agree that quote, as if you would like to learn about people’s mind, what they think, what they know or what they feel things, you can look through their culture. That quote is what I have heard about a year ago. I am truly inspired by its energy, and the passion it has, and I was so curious about how cross culture would teach me my “life lesson”. According to the “life lesson” that I have learned by taking part of “Sing Out Asia – Cross Cultural Activity 2015” which is held in Ho Chi Minh City, Vietnam. In first and second day, I was so impressive in activities that occurred in those day especially games which I have never known such as a card game, a weird language game or a Black Magic game etc. Those games are strange and have to take times for learning how to play, conversely, it challenged and practiced me to concentrate the games so much. Nevertheless, there was something hiding behind the games; that was learning people from different cultures and respecting their thought. Is it not a good idea to mingle the lessons in the games instead just communication? Of course, it is. In addition, it broke up my shyness to talk with other people and exchanged experiences each other. As regards a suggestion about this activities, in my opinion, members (maybe head of each country) should have a part in planning the activities like looking for a place that the activities will be held, brainstorming to create activities or making a schedule for a whole program. I think that way would be advantages for members consist of; to learn how to work as a team, to anticipate problems and solutions in advance, to have capability to handle criticism and how to deal with further pressure. It also would be things that the members would like to be. I am so truly thankful for this experience; it has changed me forever. Appreciate life, embrace what you have, and accept that this is your life, and you are the one to change it. Being an SOA member, and exploring in a different country for a while has opened my eyes. I learn a different language; I learn other traditions, and cultures. I learn to accept, and to be respected. I learn to be responsible, and to be careful. I learn to be friendly, and to be polite. Most of all, I learn how to live. I am sooo grateful to have family in other countries. Become friends with people who aren't your age. Hang out with people whose first language isn't the same as yours. Get to know someone who doesn't come from your social class. This is how we, SOA family 2015, see the World. I never thought that I’ll fly to South Vietnam and joined Sing Out Asia 2015. The first time I heard the name, Sing Out Asia, I thought it is somethimg related to singing activity. But I was wrong, Sing Out Asia is not only about singing but also Cross Culture Training. And I am proud being participant in CCT SOA 2015 in Ho Chi Min. This program maybe not the first time for to interact with people from another countries but this is actually my first aboard program. I decided to move out my comfort zone which can light the rest of our lives, elevating our ideals, deepening our tolerance, and sharpening our appetite for knowledge about the rest of the world through this program. In our very first meeting, I was so sorry to Mr. Hatano and our guide, Mr. Lock because I arrived in Ho Chi Min earlier than others that made them waiting for all the participants in a long time. One by one the participants from other countries arrived and we sat in a round-made table. We glance to each other and feel so happy to meet great people like them. We introduced ourself as like we’ve met before, thing I regret is I still can’t pronounce Vietnamese’s name until the end of program. I was so nervous who is going to be my roommate, how she looks like, can we be friend, and so on. Thanksfully, I met an energetic Vietnamese from Hanoi, Vi. She likes to eat and so as me, we shared a lot of the same thing. I am so happy to meet her as my first roommate. In the first night, I was curious what kind of training we will have tomorrow since it’s my first time joining Cross-Culture Training. During the training, I was so curious what is the purpose of this training, why we should doing this and that. All us are strangers to each other but because of the training and tha games, we become close to one and another. Using verbal instead of laguange is awesome, it needs creativity in communication with the other, we have to act what we should do to make the other understand. A little of misunderstanding created funny memories I can’t forget. There was a time that we have to write about our biggest achievements, our failed, our dreams and so on. From that I learn that it is necessary for us to know how we live our life, and what we should do in the future, that moment open my eyes. 3% success people write their dreams, and now I have write every single dreams I have to reminds me of the pursuit of life. Through Cross-Culture Program, we gain a better understanding of the many similarities we shared and learn to respect our differences. The CCT can break down walls between us, for when people come together and speak to one another and share a common experience. We are reminded that we're joined together by our pursuit of a life, and when that happens mistrust begins to fade and our smaller differences no longer overshadow the things that we share. And that's where progress begins. I think one of the wonderful things about the program is its contribution to the barriers (of culture, events, religion, and ethics). Since all Indonesian are moslem, we can’t eat pork. They make a special table for us with no pork in the menu, actually I was so sad, I really want to be in the same table with the others too. But they respect us, thank you everyone. After spending several days in Vung Tau, we began our tour to Nha Trang. It takes more than 10 hours by bus from Vung Tau. The next day we continue our journey to the city of flower, Da Lat. During the tour I gain so much knowledge about thebeauty of the city and its nature, culture, the history, real life of Vietnamese and how they proud of their country. I was surprised because Indonesia and Vietnam has a lot of similarity in culture, food, etc. Eventhough we share similarity but we’re still different. It deserves the respect and support of all. Finally, We end our journey in Saigon, the place we see the heart of life in Mekong Delta, the place we did a “pim pom pim pom pili pili pom pili pom pili pili pom pim pom” and the place we finally know the secret of black magic. We’ve become more than friends towards the end of this program. But suddenly unexpected event appears, a lot of our friends got stomachache, so as my roommate, Emi. I was so sorry to her, I was her roommate but I didn’t know she throw up several times. I feel like such a fool sleeping so deep without recognizing what is going on with my own roommate. Thanksfully she recovers in the next day. Even until now, I still regret I can’t take care of her. I am sooo grateful to have family in other countries. I’d like to see you in another chance maybe in Indonesia or in other parts of the world. I believe our path will come cross before long. I really want to shout out to the world that I LOVE ASIA. I AM PROUD TO BE ASIAN. I hope the future SOA will be held in Indonesia and I’ll help as much as I can do for SOA. Not only that, I hope more countries in Asia can join this program so we can learn a lot about Asia. We are unity. Thank you Mr. Hatano, Mr. Daisuke, Mr. Yahiro, and all of you, for this program. I got a lot of knowledge and family as well. The real voyage of discovery consists not in seeking new landscapes, but in having new eyes. SOA gives me a new view of life. See you and Good Luck ! Sing Out Asia Cross-Culture Camp & Tour of 2015 in South Vietnam. I do not know if what I am writing right now could be considered as a report of not, I just want to share some of my thoughts which I also told my friends as I came back home. The fact is that I had about 3 days alone in Ho Chi Minh city before the program and I felt like this trip would take forever. However, 9 days with everyone in the trip just passed in a blink. When I was with my new friends from Indonesia, Malaysia, Thailand, Japan; when we shared about our lives, family, career, experiences, hobbies, even love life and belief; when I discovered my friends’ habits and thinking which were typical in their countries but totally different from mine, I had no idea about time. That how I could make friends; how I could start the conversation was what I worried the most before the program. Would they be diplomatic with me and I could only share about general information of my country? It was all thank to training activities in our first 2 days in Vung Tau city which I did not understand. 555. I am just kidding. But it is the fact that I did not understand the meaning of some activities and I had to ask others who had no idea as well. We had to guess and discuss and guess and discuss again because we usually took it wrong. As we confronted the same things, we were placed in the same situation; there was no barrier between us. We addicted to each others’ jokes and silly ideas of which we always made fun. We came to each other naturally like that. The interesting thing is that English is not as important as I thought I would be, to make friends and to understand their cultures, their lives. I think characteristic is the key element. I found it not the problem for me and others to wait for our friends looking up in the dictionary or trying to remember how to say in English. Actually, it is quite fun when I had to guess what my friends were talking about and tried to express what I wanted to say in different ways not only words. The thing decides if we could be friend or not is our expression, reaction, thinking, thing we want to say which reflect our characteristics. We are friends by our souls, not our English ability. For bringing me the opportunity to join this trip as well as for always taking care of us through the Cross Culture Training program in South Vietnam, I want to once again, express my appreciation to Mr. Hatano, Mr. Yahiro and Mr.Daisuke. Arigatou gozaimasu!! And for all participants of this trip, I could not enjoy the trip to the fullest without you, you are everything I have found in this trip. See you next time!! A sport camp would be great!! SOA2015 WILL BE ALWAYS IN MY HEART. I’m Le Ngo Y Nhi. I come from Ho Chi Minh City, Vietnam. I joined Sing Out Asia in March 2015 in South Vietnam. This was the first time I joined this program and I have to say that it was really my wonderful ‘first time’ and an unforgettable memory of mine. I had not met many foreign friends like that before. During the program, I had to speak English to communicate with friends from other countries. I used English from morning when I get up to night when I go to bed. Because I had not used so much English before, I was trouble in speaking, expressing my ideas. Other friends often did not get what I said and I did not understand fully what they told me. This shortage, at first, make me afraid of sharing and talking although I really wanted to make friends and know more about different countries. In the first 2 days, I felt lonely and isolated a bit. However, I integrated with everyone the days later, especially after the talent show. I could see and feel the characteristics of each country from songs, dances, musical instruments, costumes, caligraphy and so on, which I had not seen before. One of the thing that can make me smile but can make me cry in SOA tour is the farewell party. 7 days is quite short but I had many memories with all. That is the reason why I cried at the party. At this time, deep in my heart, I wish I could have had much time with them. It connected all of us, from unacquaintance to good friendship. That is a wonderful thing of SOA tour, I think. For me, SOA 2015 is not a trip to the South of Vietnam but also a trip to unity, a trip to friendship. I had more good friends after SOA. They are very awesome to me. They had taught me a lot about English skill, life skills. I could learn many meaningful things from them. Their fluency in English, their achievements and expericences had encouraged me so much. I really want to send my deep thank to Mr.Hatano, Mr.Yahiro, Mr.Daisuke for giving me a chance to join such a meaningful trip like SOA. Hope that I can join this tour once more, even twice, third.. Sing Out Asia! Hope to see you again!! ^^. 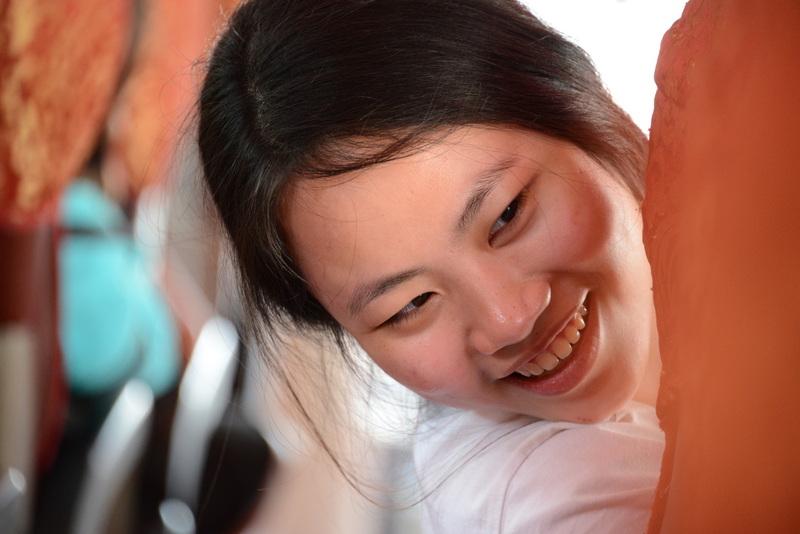 My name is Ha-Phuong To Vu, one of the luckiest people who were chosen to be the participants of Sing Out Asia Cross-culture Camp 2015 in South Vietnam. I can say without any hesitation that, this trip is definitely one of the most miraculous experiences that happened to my life. Although the camp only lasted for nine days, but the things I received from it are priceless. It might have taken me much more time than this just to learn those few things instead of the duration which is honestly just like a short holiday to me. This is the reason why I appreciate this experience a lot. The first thing that I learned, which is also the main purpose of the camp, is the diversity of cultures in the world we live in. Our camp has only participants from five countries: they are Japanese, Malaysian, Indonesian, Thai people and Vietnamese; but the interesting uniques that I discovered from those cultures have already blown up my mind. In a mixed cultural environment, I found myself not only have to quickly spot the differences, adapt to them and learn to behave like an international citizen but also be able to show my own identity. In the trainings that I went through, I was taught that despite of not sharing the same cultural backgrounds or languages, people can still understand and make friend with each other by the willing to put effort on it. It is true, because when I left the camp, I had a whole new family with all wonderful members. The second thing, although it is not something intellectual, it is one of the most important things in my life: friendship. On the first day I joined the camp, I barely know anyone. It even took me a while to remember all those names. I would never expect that things could change that much in only nine days. I did not have the chance to get to know thoroughly everybody, but I know they always consider me as a friend. For some friends I was able to share a quality time with, we really have deep connections with each other. Our talks were not only limited in introducing ourselves or our cultures or so on. I feel I can truly open myself up and share many personal stories. Not for a single moment that I thought I came from a different place with them. I guess this is the wonderful thing of friendship and I am so thankful for that. Last but not least, I am so delighted that I met three great people who are my teachers. They have warm hearts; have great knowledge of the world that they always ready to share with everybody. What they do brings benefits to the youth, which includes me. Having the chance to meet them and friends from other countries, I realize where I am standing; and it definately motivates me to learn more, and do more things for the society that I live in. Actually I knew SOA from my friends since I was a second year student. Since then I really wanted to join this kind of program so much. Then the chance has come to me this year. In CCT Saigon program I met many friends from Asian countries which are Thailand, Japan, Vietnam, Malaysia and Indonesia and learnt about each other. Let me tell about the Cross Culture Training program which is in the first and second day of this program. Before I join this program I was a bit eager to know the way this program is going to make me blend with other people. Then I knew that every session in CCT program did make me blend with other participants and also expanded my vision about living with the others. As we can see since the card games that each table has their own rules and in order to play or live with them we should take some time and notice them how to do it. In the real life we also need some time to adapt ourselves into a new environment sometimes our first priority may be the least priority in other communities. In first two days there were many games and activities that provided to us but my most favorite one was “The talent show”. I really like every performance from all countries. Things that I like from the performances were not only observing other countries’ performance but also the way we (Thais) practice and perform. Let me tell you one more thing, I joined an exchange program for one year and that also made me graduate late for one year. I am the eldest in Thai participants and everyone in my year already graduated from university so the other Thais are my junior that I never know them before. The start of this program I found that it’s quite hard to find a place that I fit. But after we spend some time in the activities especially the practice of the performance, it made me know more about the others and merge with them easily and after that we are friends not senior and junior anymore. I can say that CCT program gave me priceless experience, knowledge and also made me get along with the other very well, not only foreign participants but also Thai ones. Then, I would like to say a big thanks to Mr. Hatano and 2 sensei which are Hirakawa and Daisuke sensei that provided and gave us a wonderful experience. I think having foreign roommates also make me know more about other countries. My roommates were Indonesian and Japanese and I learnt a lot from them in many aspects such as thinking values, beliefs, and especially games. (My Japanese roommate taught me how to play monster strike: モンスト and until today we still playing this game even we stay in different countries.) After spending time, chatting and playing with my roommates I found that Adam loves diving and drinking, Yuta loves Japanese singers and reading books and Shingo loves to play badminton like me. This trip is also my first time in Vietnam and especially with SOA family. I know that my English isn’t perfect but I really appreciate that everyone still be patient and listen to me. Vietnamese participants which are the host country are so kind, they didn’t hesitate to explain me everything I want to know. During shopping time I enjoyed watching our friends bargaining the price of stuffs and eating something in the market. Before I joined this program I keep thinking that 9 days in Vietnam is quite long. Then I joined it, and 9 days of this program was just a blink of the eyes or 「あっという間に終わってしまった。」in Japanese. The last night of the program I tried to stay with everyone as long as possible. We play Killer, Takenoko and card games in the room together. Even Japanese who supposed to wake up early in the next morning still played the game until 3AM. In that time I realized that 9 days are freaking short. The next morning Japanese, Malay, Indonesian and Thai went back home sequentially. Finally, I would like to say thank you to Koon, Yelly, Bank, Fai, Noonut, Non, Shingo, Tomoya, Yuta, Riko, Okky, Ning and other participants for being there and sharing the good memories together and especially Vietnamese students who are the warm, friendly host and teach me many words. I believe that we departed in order to reunion. Let’s meet up somewhere. It’s second time for me to participate in SOA CCT trip. At first I want to thank Saburou-san for allowing me to participate in this trip again. When I decided to join this trip it was last December, while Japan Visit was held. Japan Visit was so hard for me, because during that time had classes and examinations. However, inviting and guiding friends into japan was so enjoyable and unforgettable. At that time, I reconfirmed that having friends around the world is a wonderful experience. That’s why I want to take part in SOA trip again. The Cross Culture Training was second time for me, but it was like first time. Actually I don’t remember well about last year, but I remember that we did some same activity like this year. However, since members are different, I felt like this was my first time again. I think some people felt strange and funny, because in some activities we couldn’t speak and also couldn’t see. I felt this strange feeling in this and last trip also. That is a interesting point of CCT. After CCT, we traveled to Dalat and Saigon. Our bus trip was too long, so that made us feel tired and bored, but I think in bus we could talk a lot with our new friends about our country, language, culture and so on. Usually long bus trip is boring or just for sleeping, but for me it was not only for sleeping, it was also for knowing each other. Of course, the places we visited were very good, like markets, temples, beach, Mekong river and specially riding the motorbike was so exciting. Finally, I want to recommend the people who will join next SOA trip: Don’t stick together with people who are from same country as yours. If you do that, you will talk in your own language and I think it means that you are closing yourself to the other people. Don’t forget that the most important thing of this trip is knowing each other. Even if you don’t have confidence of your English skill, don’t worry and just try. I want next members to be out going and challenger. Firstly, let me introduce my self. My name is Mutiarani Zahara and my nick name is Tara. I am one of five Indonesian Students who joined Cross Culture Training Camp and Study Tour in Vietnam 2015. I Study at Islamic State University of Jakarta, majoring in International Relations. This is my report of my memorable 9 days with SOA family. I joined this program is for the first time and also at the first time, i was feeling very greatful for this. A lot of reasons that made me feeling so blessed being one of participant of CCT this year. First, about the training. I am feeling so blessed because I got a lot of knowledgement in the training. I learned how to understand people who had differences from me. I learned how to adapt my self to the new environment, new situation, and new condition. And also I learned how to bring my self to communicate and socialize with new friends. In the first day of training, i felt so excited because i was curious how the training would be. And i got the answer of mine. The training was very funny and interesting. We did many games, like game which teamwork needed, game which to understand ourselves personality, game which to understand new places and cultures, etc. Games that i remembered the most are card game and alpha and beta culture game. In card game, we divided into some groups. Every group has a paper where the rules written inside. We have to understand the rule and play the game. In the end of game, the one who win and lose the game should move to the other group and play the game again. I won the game once and move to other group. I played the game with different group from the first and I shocked. Why? Because i faced some different rule of game. But what I did just keep silent, observe how the game should be and continued the game. Here i found the purpose of this game. It was to showed us that every place has their own rules and me (as the person who moved) have to observe that new place and be able to adapt in order to continue my life. In Alpha and Beta Culture game we played the game longer, but i also found a value of the game and the purpose of the game is to understand and observe other culture. It showed us that outside our own country, there are many different cultures and it is important for us to realize and understand of that. The point is all of games that played in training have their own purpose and i felt the purpose or meaning of game well received on us. Because it delivered in easy and funny ways. Very interesting. Second, about the tour. The tour was really really awesome and interesting. I felt so blessed because i had a chance to go to various places in South Vietnam. I saw many differences and also similarities between Vietnam and Indonesia. Beside that, i felt this tour has so much deeper meaning, because beside got experiences in visiting many places, this tour also made relationship between each other participant tighter and closer. We spent so much time on our journey in one bus, and it made us communicate each other, asking and anwering each other, event for laughing. When we saw an unique thing or place, it would be our topic of conversation and i thought it was so much interesting. Last but not least, i felt extremely blessed because I have not only friends but also family. I have new family! SOA 2015 Family! all member of SOA 2015 were very kind, humble, friendly, and funny. I am feeling very glad to meet you all. Thank you guys for making those 9 days be a memorable days for me ;D. And also I would like to say many thanks for Hatano Sensei, Daisuke Sensei, and Hirakawa Sensei who had organized and allowed me to join this awesome program. It was a honor to me can meet and know you, sirs. The last year of student life, I had an opportunity to join in an amazing cultural exchange program named Sign-Out Asia, which is one of my most wonderful experiences in my entire life! The two-first day of journey, we participated in Cross-Culture Training in a very beautiful sea city-Vung Tau city. Thank to Cross-Culture Training, I have learnt how to understand people of diverse cultural backgrounds. l know that the cultural values of Europe, the Middle East, Asia and other areas are very different. 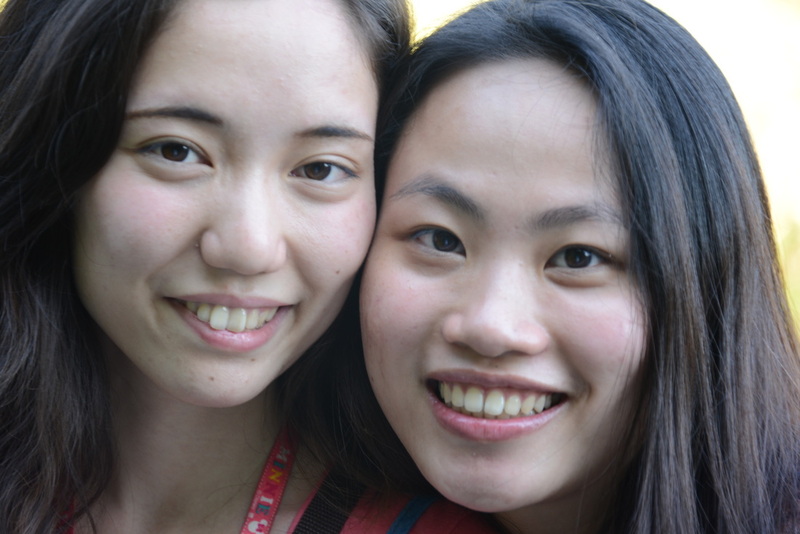 As to Asians, we may look the same, but in reality our cultural values are quite different. However, after joining in a lot of enjoyable games, we not only grasp the essence of different cultures but enrich newly-built trust and friendship as well. At the night of talent show, when we all forgot where we come from to express our custom and tradition and immerse ourselves in interesting traditional performances, it is true to say that “we are one and we are unity”. This journey also brought to me valuable experience that I will never forget. It was great to meet and become friends with so many professional and interesting people from Japan, Thailand, Indonesia and Malaysia. During 8 days in South Vietnam, we shared joys and sorrows with others. We laugh so hard, took so many pictures and left one another with great memories. Seeing my friends enjoying their time in Vietnam, I felt really happy. Besides, we had a wonderful sharing time together in such a place possessing passionate beauty of nature. We were extremely stunned by fantastic beaches, the glory of mountains, skies, fogs and thousands of elements found only in the south of Vietnam. I still remember exactly the excited feeling when we played volleyball together on Nha Trang beach, or when we went to night market and bought a lot of souvenirs in Dalat or the first time I sit on a boat visiting floating market on Mekong River in Cai Be town, Tien Giang province. I got strong impression when enjoying folk music of South Vietnam among a leaf house with a lot of fruit trees. All of those have formed such a bright memory that I have never forgotten in my life. Time did fly fast like an arrow. At the time we had to say goodbye, I had so many different feelings: a little bit happy because the trip had finally gone to the end successfully, but sad a lot because I did know exactly when we could meet again. We talking like as this was the last time we saw and chatted each other. Hugs became so tightly. However, I strongly believe that good-bye does not mean an end, but a beginning. Grasping opportunity of joining in the next SOA programs in Thailand and Japan or other programs, we enable to sit side by side again. I did do my best to bring us closer and overcome all the obstacles, cultural and language barriers. On the other hand, I also have two small comments about Cross-Cultural Training program. Firstly, about the structure of CCT, it is more effective if CCT can be hold on different times during that trip such as the first day, the middle day and the last day of journey, but not on some first days of journey. For instance, in Vung Tau city, we should have one day for CCT and one day for visiting tourism place; the next CCT day will be hold in other city such as Nha Trang or Saigon; then we end program with a talent show. Because, when we finished all training activities and celebrated talent show at night of the 3rd-day of the trip, I felt a little bit that this was the end of program and the left part was simply traveling. Secondly, about the content of CCT, you would require each team to prepare at least typical game in their country for CCT and submit idea to you before beginning program (you can check whether it is appropriate with your criteria or not). It is way to encourage your international participants to share their customs and traditions with you and others. I am sorry if my comment is so impolite and it makes you fed up with. Honestly, it does not mean that your program was not interesting or exciting because I appreciate highly your ideas. For example, you mixed people come from different countries in a room, which is a smart way to help us make friend easier. Once again, I want to give a sincere thank to Mr.Hatano, Mr.Daisuke, Mr.Yahiro and other organizers of SOA program for all of happiness, amazing experience and sweet memories you bring us. SOA - Thank to become a part of my life! I am passionate about travelling, learning new things and getting to know new friends. At first, I had never known about SOA program before, but after seeing photos and hearing about this program from my friends who have joined the program last year, I found it really interesting that the participants can have a chance to do activities with new friends and have an excursion at the same time. Before, I had only few friends from Southeast Asian countries and had never had any friends from Japan. So when the program was announced to be held in Vietnam, I didn’t hesitate to apply and was always counting down to the travel date. We spent 2 days in Vung Tau to do the cross-culture training. We got to know each other much more through the games and activities. Everyone was so energetic .Nobody was shy to answer the questions and express their opinions towards many different topics we talked about. The activities we did were mostly related to social and cultural issues. I’ve got many ideas from these activities and discussions. As we all are Asian and share some same cultures, traditions and lifestyles, we could get along with the others very easily no matter where we are from. After the training, we started our journey to many different cities in South Vietnam. Although sometimes we had to take a long bus journey and the traffic and road condition weren’t that good, but the places we went were worth visiting. South Vietnam offers all kinds of experiences from breathtaking mountainous area, beautiful beaches to chaotic cities. As we know, now is the age of Asia. Japan is one of the major powers while Southeast Asia has become an emerging region. Understanding between each other is so important and youth are the ones who will shape this region in the future. SOA program has given us an opportunity to learn more about other cultures and understand the differences. We have gained the experience that we couldn’t find anywhere else. Time flew so fast when we were in South Vietnam. One of the best journeys I have ever taken was about to end. It’s always hard to say “Good bye” because we can’t know when we’ll be back and have this kind of moment again, but I always believe that the world isn’t that big. We meet to depart and depart to meet again. Thank you everyone for such a memorable time and hope to see you all again someday. The length of the program is appropriate, not too long and not too short. But it would be great that we could have a chance to visit some more important places. Some of them, we may have to pay ( such as Unification Palace, Cu Chi tunnel and War Remnants Museum ) and the cost of the tour can be more expensive, but is it possible to reduce the cost by using lower grade hotels? Base on my experience, 2-3 star hotels in Southeast Asia are acceptable. They are cheaper, the rooms aren’t too small and all the necessary things are provided. The other suggestion is that sometimes the bus ride took too long. Everyone also mentioned about this problem, it may not be enough to see all the things within 9 days. It would be better to reduce some cities that are quite far away from the others out in order to reduce the traveling time and we can spend more time on visiting places. The last suggestion is that it would be nice that we could have more interactions with local people like visiting local schools and government places and sharing ideas and cultures with them. When I first heard about this program, I was very interested and thought that it would be fun to be go to Vietnam and meet new friends from foreign countries. Then on the first day I got there, I thought it was going to be a little difficult for us all to communicate and comprehend other kids from different countries and cultures but we tried our best to open our minds and learn about new and different cultures. When it came to the first day of activities, the ice-breaking, we really enjoyed the activities and games all together. I think that was great fun and made us all feel more comfortable in getting to make new friends very quickly. The activities later on were not only fun but also stimulative, interesting and knowledgable. They gave us realization regards being a part of diverse the community and society in which we have to learn and adapt ourselves in order to survive. I found myself and others enjoying them so much. The culture night that we had to make shows of our own cultures was fun and full of joy. We could learn a lot more about others' cultures from that night. After those cultural activity days, we got to travel around several cities in South Vietnam which was another best part of this cultural program. I really love spending times with all foreigner and Thai friends I made. The food in every meal was awesome. The tour made great choices of restaurants for us and I thought I did gain weight. The only obstacle of the trip was that so many people got a diarrhea and some were so sick that they couldn't come visit some places with the rest of us. After all, I had learned so much that there's nothing right, nothing wrong, it is just different. This trip was very remarkable and was one of the best memories of mine.